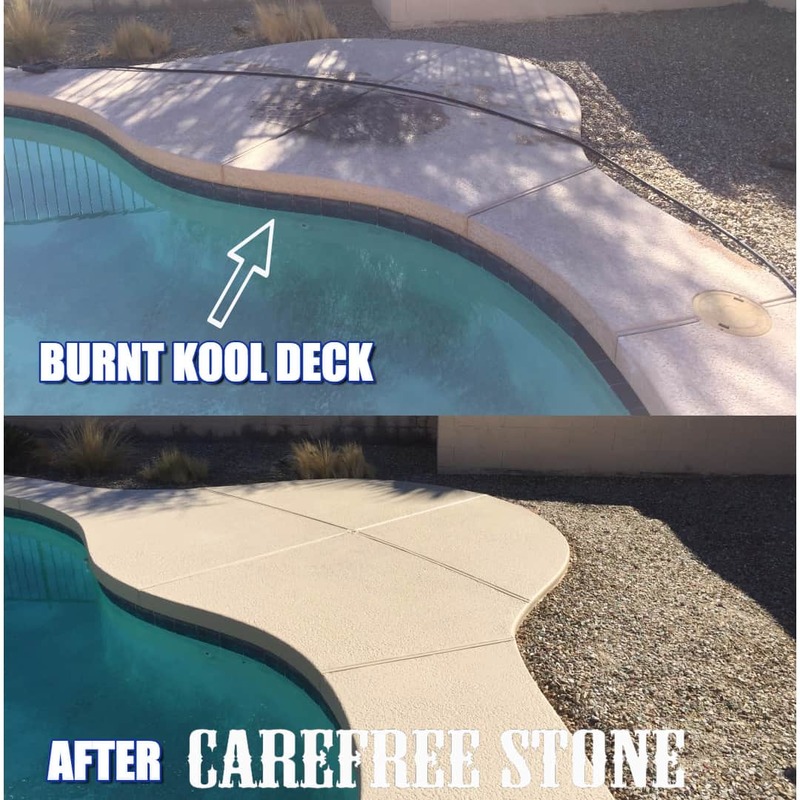 We prep, repaint, reseal, and fix, old faded and chipped, cracked, flaky, patchy kool decks. We also install brand new kool decks! Choose from various high-grade paint colors to match your taste. Select from two different levels of deck paint: high-grade cool deck paint or high-grade reflective paint (up to 30 degrees cooler). Head over to our gallery for Carefree Stone example pictures. We take care of the prep, repaint, and reseal of old, faded, chipped, cracked, flaky, patchy cool decks. We know you love your pool! We love your pool too! We can fix your old kool deck, install brand new kool deck, and make your entire deck look uniform and beautiful, just like it should! Keep cool with Kool Deck! Do you install cool deck? What kind of cool deck paint is used? Our customers can choose from 2 different types of cool deck paint: regular-industrial (various colors) OR heat-reflective industrial that keeps kool decks cooler by up to 30 degrees. How long does it take to make my cool deck look like new? It takes approximately 1-3 days to update your cool deck depending on the current condition. Various steps are involved and are all dependent on your needs. Can large cracks and patches be repaired? 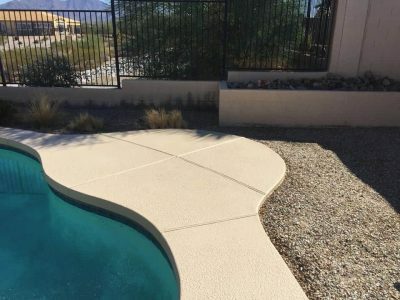 How is cool deck paint applied? We roll on cool deck paint with a thick nap roller for even coverage. We prefer this method over the spray-on method simply because the roller solution provides the most thorough coverage and, therefore, the highest quality of service. How long before I can walk on my new cool deck? After we seal, our customers must wait 24 hours to walk and replace furniture onto the cool deck. It it called Kool Deck or Cool Deck? Is the IR-Reflective deck paint REALLY cooler? YES! 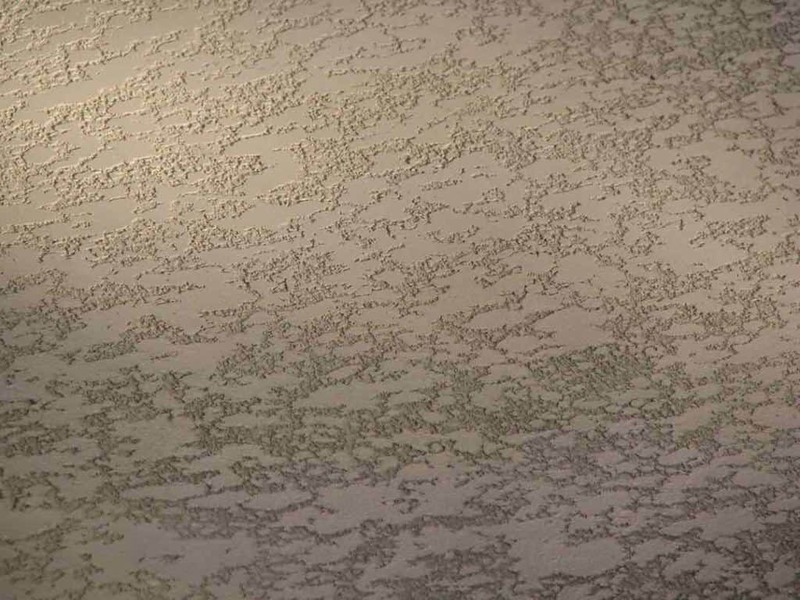 The IR-reflective coating is formulated to reflect the sun’s infra red rays and lab tests prove that IR-Reflective paint exhibits cooler surface temperatures than standards non-IR-reflective coating of the same color. Fill out this form and someone will contact you! Or, call us at 602-867-0867. 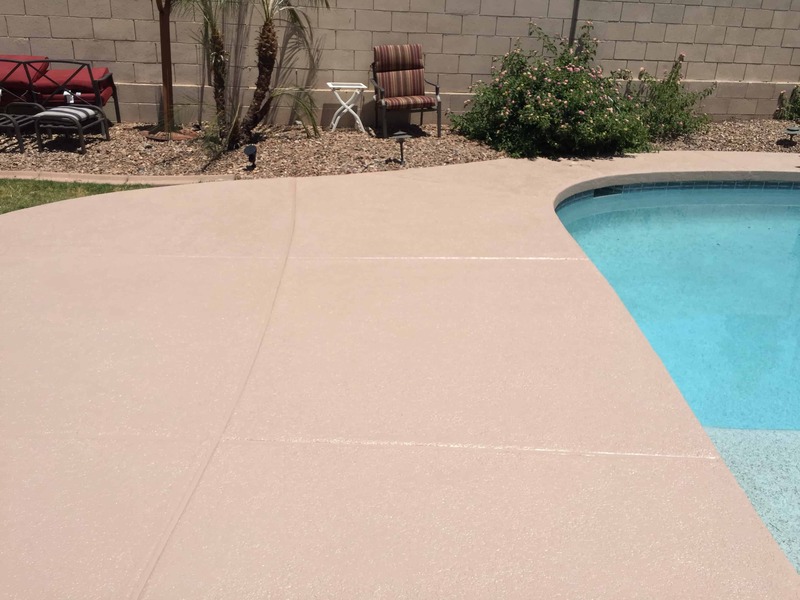 We service Scottsdale, Cave Creek, Sun City, Tempe, Mesa, Fountain Hills, Peoria, and the surrounding cities.